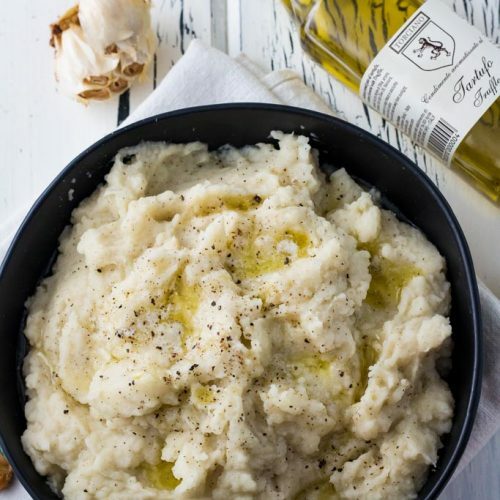 Roasted Garlic Truffle Mashed Potatoes | Pinch me, I'm eating! Roasted garlic truffle mashed potatoes are an easy gourmet twist on a classic comfort food. It’s a perfect side dish for Thanksgiving, Christmas, or any cozy cool weather meal! With cooler weather and the holiday season right around the corner, I thought it was time to share some cozier, heartier recipes with you. I’ve never been a huge mashed potato person myself. 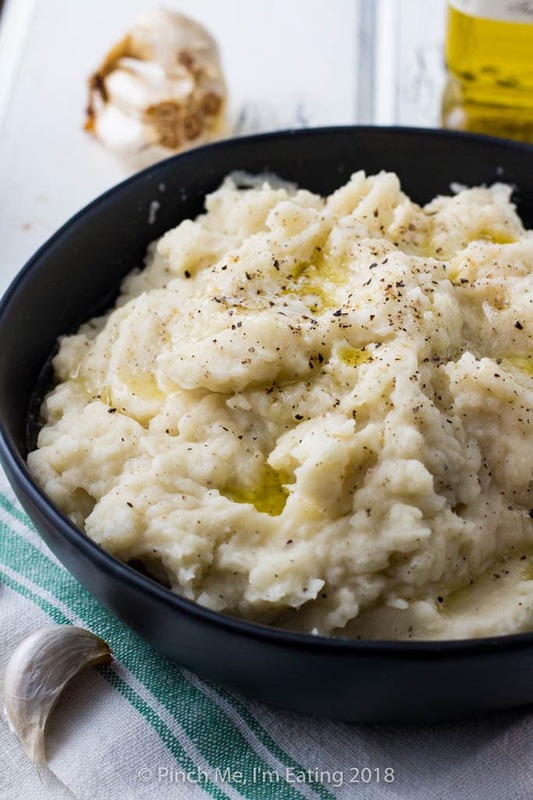 I would usually rather have something like mashed rutabaga instead, but these roasted garlic truffle mashed potatoes may be an exception. They have been taste-tested and approved by my resident mashed potato expert (my work friend Kelly), who pretty much talks continually about mashed potatoes from September through January. She frequently looks up excitedly from her desk in the middle of the work day like she’s had an epiphany and then happily reminds me of the existence of mashed potatoes and how she’s going to have some at Thanksgiving. So of course I ran these roasted garlic truffle mashed potatoes by Kelly and she gave them the go-ahead for the blog. Your taste-testers are hard at work! In my opinion, potatoes and truffles are a match made in heaven. Truffle fries and truffle mashed potatoes truly take their classic counterparts to the next level. It adds a sophisticated earthy flavor that really can’t be replicated by anything else. While my husband and I were in Florence, Italy, we took a day trip to the Tuscan countryside for a wine tasting tour at two vineyards. And what did we order to have sent back to us? Not wine, but two bottles of truffle olive oil and a bottle of amazing balsamic vinegar. Hashtag no regrets. 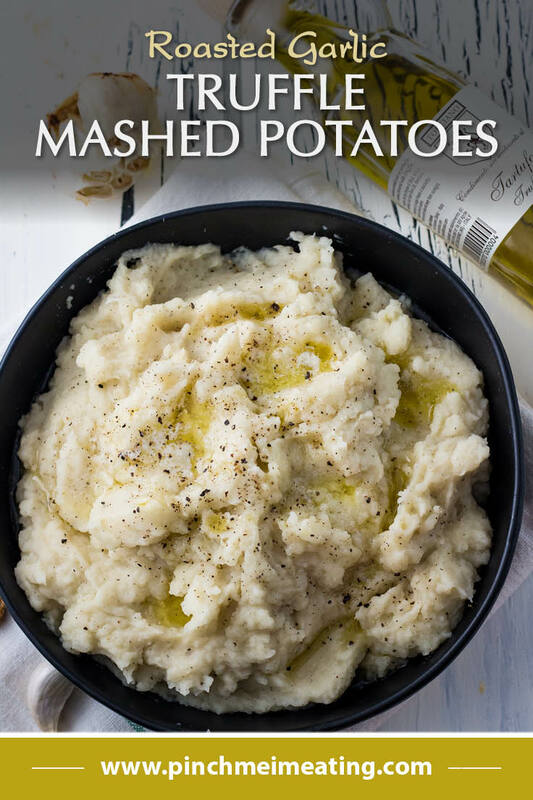 While truffle oil can be used as a finishing oil on pastas and risottos, I really love it mixed into these mashed potatoes — with a little extra drizzled on top as a finishing oil too! If you can’t find truffle oil next to the olive oil in your regular grocery store, I’d try an organic or specialty grocery store like Trader Joe’s or Whole Foods, or you can order some on Amazon. 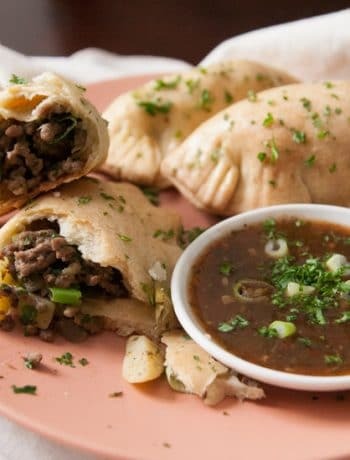 I’m always down for a good classic comfort food, but I also like my recipes to have a little flare of fancy-pants when I can, especially when the added flavor outweighs any extra effort there may be. These potatoes fit the bill! It takes about a minute to prep a head of garlic for roasting, which really gives it a rich and mellow caramelized flavor. Just cut off the top of the head to expose the ends of the cloves, put it on a piece of foil, and drizzle it with olive oil until it soaks into all the cloves. Make a little foil packet and roast them at 400 degrees for half an hour. 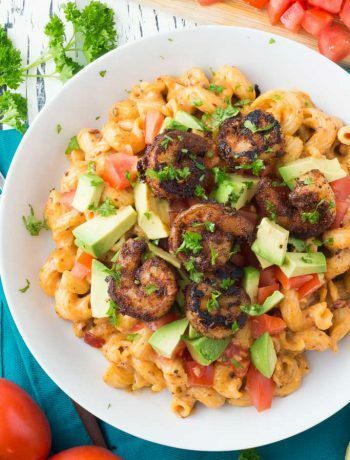 It’s so easy and adds so much flavor! For the potatoes, you’ll want to submerge the cubed, peeled potatoes in cold water before heating the whole thing on the stove. Heating the potatoes along with the cold water, instead of dropping them into already-hot or boiling water, ensures that they cook through evenly. Otherwise the outsides soften first, become overcooked, and dissolve into the water while the centers are not yet tender. I use a mixture of chicken broth, heavy cream, and butter to make these roasted garlic truffle mashed potatoes extra creamy and flavorful – you can always add more cream or butter if you like yours even richer and creamier. And of course, don’t forget the primary source of flavor for these babies – mashed cloves of roasted garlic and several tablespoons of earthy truffle oil. You can add extra garlic if you’d like, but be sure you don’t overpower the truffle oil! 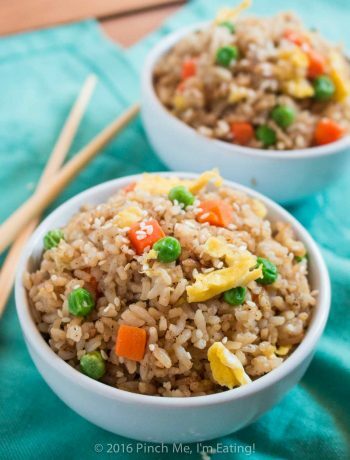 So little extra effort for so much added flavor! So if you’re looking for something a little fancier and no more difficult to make for your holidays this year, give these a shot! 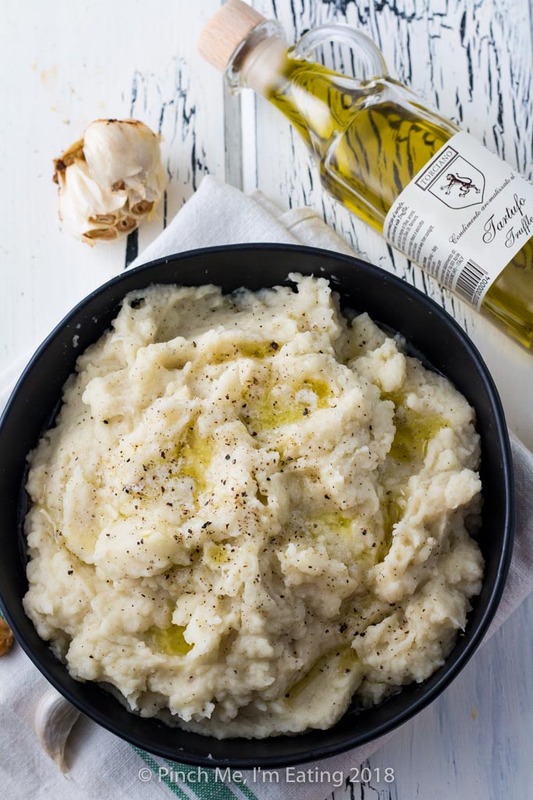 Roasted garlic truffle mashed potatoes are an easy gourmet twist on a classic comfort food. It's a perfect side dish for Thanksgiving, Christmas, or any cozy cool weather meal! Prehead oven to 400 degrees. Cut off the top of the head of garlic to expose the open tips of the cloves. Place on a piece of aluminum foil and drizzle with 1-2 tbsp olive oil, making sure it soaks down into the open cloves. Wrap the foil around the head of garlic to make an enclosed foil packet, and roast in the oven for 30 minutes. Remove from oven to cool. While garlic is roasting, cover the potato cubes with cold water in a large pot and put on the stove on high heat to boil. Once the water begins boiling, turn down the heat to medium high and continue boiling for 15-20 minutes or until potatoes pierce easily with a fork. Drain the potatoes and return to the pot. Mash 4 cloves of the roasted garlic into a paste and mix into potatoes, along with chicken broth, cream, butter, 3-4 tbsp truffle oil, salt, and pepper. Mash until fluffy. Use more garlic if you'd like, (you have a whole head!) but beware of overpowering the truffle oil! - I'd taste it first as written before deciding whether to add any more. Add more salt and pepper if you'd like, to taste. Drizzle a little extra truffle oil on top of the potatoes before serving, if desired. I’m really glad you linked your favorite truffle oil I know some are fake, and I’ve never been able to figure out which ones are. I remember Gordon Ramsay yelling at someone for using truffle oil that wasn’t a real product! I will be ordering it, for sure. Thanks for that! Hi Mimi! 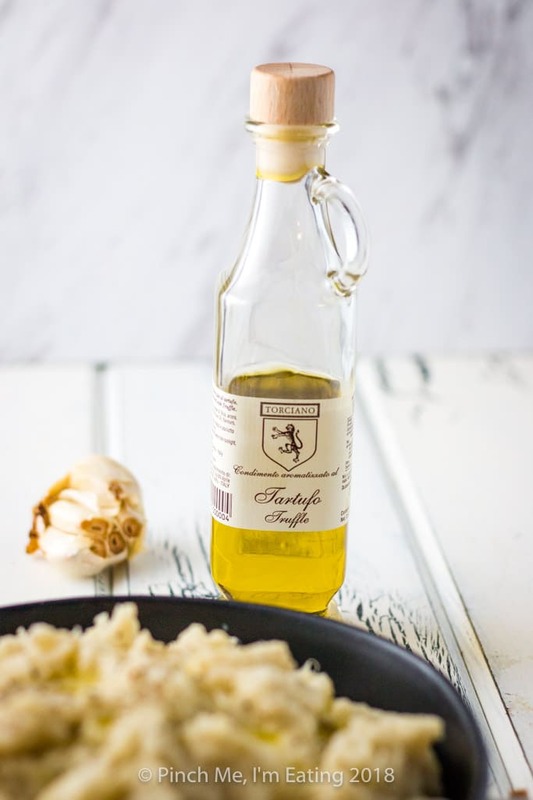 The truffle oil I used was actually purchased when my husband and I were in Florence, Italy last year so unfortunately I was unable to link to the exact truffle oil I own! I tried to link to a reputable one with very high ratings on Amazon, but I unfortunately cannot personally vouch for this specific truffle oil. I hope Gordon Ramsay wouldn’t yell at this one! Please let me know how it is if you try it!